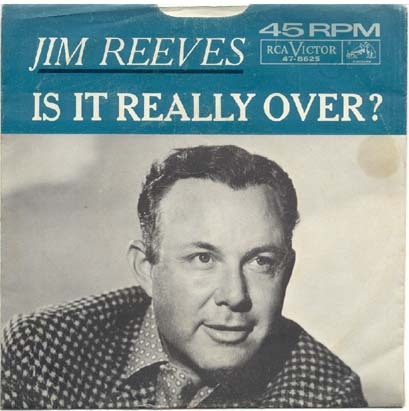 Jim Reeves/"Is It Really Over?" This is a single sleeve featuring one of the most popular pictures of Jim ever taken. While some of the earlier sleeves featured full color pictures, in later years, as RCA was phasing out the use of pictures on singles, they went to 1 color plus black, which was cheaper to print.